ABA Dental Clinic provides comprehensive dental care, including the placement and restoration of dental implants. Our dedicated dental implant team serves Thunder Bay and all nearby communities and our dentists are highly-trained and experienced in the precise placement of dental implants and the crafting of top-quality restorations. These restoration options are permanently attached to the implant and are not removable by the patient. They provide a natural and stable bite that will last a lifetime with proper care. 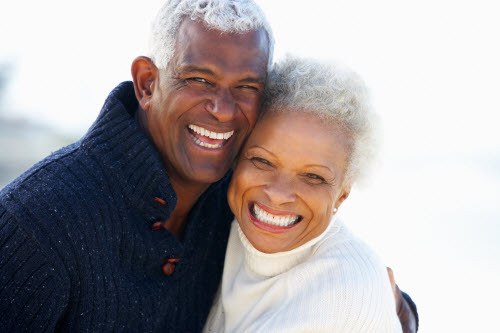 When individual missing teeth are replaced with traditional methods, they often rely on dental bridges. This technique, while appropriate in some cases, requires the alteration of neighboring teeth and relies on their continued health. 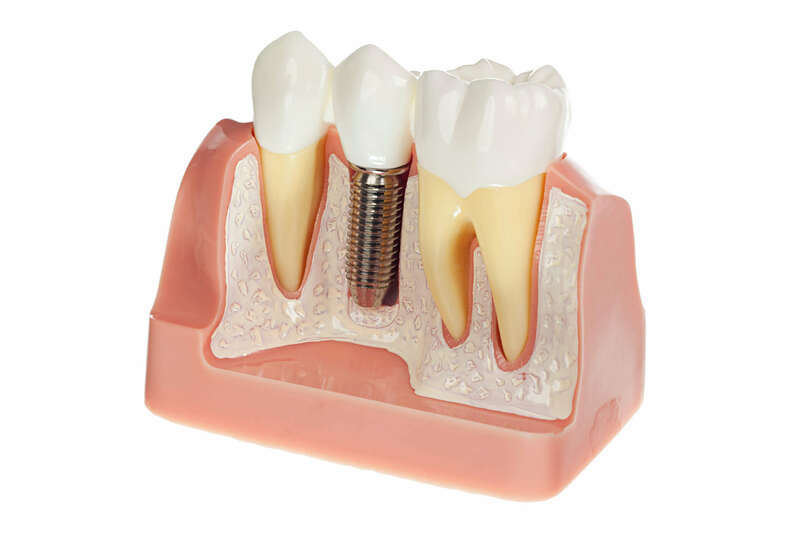 Dental implants have become the standard of care for tooth replacement. A traditional bridge can replace the visible portion of a missing tooth but does not provide for the lost tooth root. This is important because the root not only anchors the crown, it also provides stimulation to the bone, so it continues to grow and remain healthy. If missing teeth are not replaced, bone loss can occur and cause a sunken or pinched appearance often associated with denture wearers. Implants do not require any annoying adhesive and won’t slip out of place. This makes chewing, speaking, and even smiling easier and more comfortable. Our dentists are meticulous in their approach to your oral health care. Detailed digital pictures are taken to illustrate every aspect of your teeth, gums, as well as the natural placement of your bite and lips. Careful planning allows our dentists to deliver implant-supported crowns, bridges, and dentures that genuinely feel like your own. For more information about receiving dental implants at our Thunder Bay dental office, please call us today!